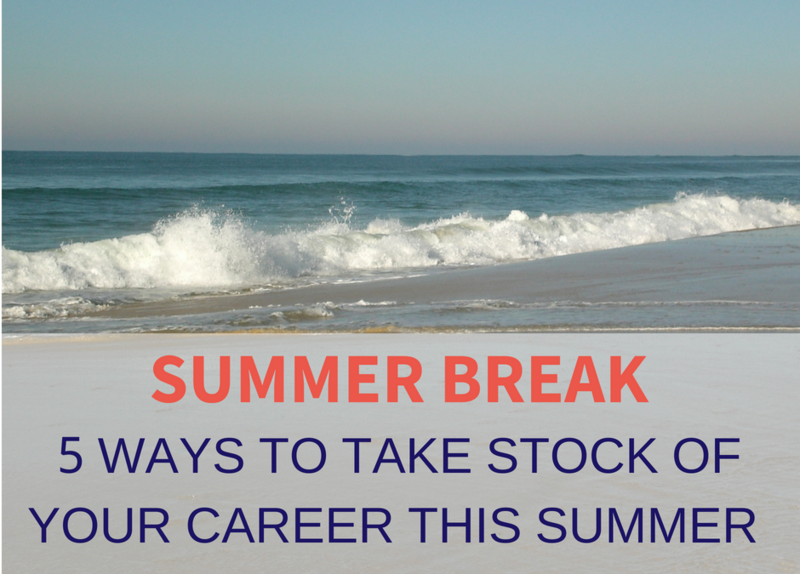 Holidays are always a good opportunity to take stock of your professional situation and career, something that we do not do enough during the year. In this article I suggest some ways you can do this. Don’t panic it’s nothing too demanding, you’re on holiday after all! Nothing stops us from taking stock at other times of the year, but if you are like me, I need time for this type of activity: I need time for the hustle and bustle of everyday life to have receded somewhat so that I can literally “hear” myself think, so that my thoughts are to float around for a few days and come back to me sharper and clearer without any pressure to get to a solution immediately, so that some conversations can take place, powerful conversations, challenging or invigorating ones. Indeed it is a “not so pleasant” conversation with my husband at the edge of a Cretan swimming pool that allowed me to finally face my situation and start a change of life and career. But for all this to happen it takes time and an attitude of “non-attachment”, if you wait to receive the Gospels with a bow on top, it ain’t gonna happen! Take a moment of deliberate solitude. Yes I know this is the time to be with your family, but an hour in 2 weeks? It does not matter where you are as long you’re not distracted by your surroundings. Deliberate, because it is yours, you chose it. It’s crazy to realise that we rarely choose what we do with our time! So go ahead, remove the leash and let your mind wander, pheww it needed a little runaround, right? You have read the articles and the books but you are not on the gratitude train yet? Try it, it is worth it. Every night think of 2 or 3 events for which you are grateful. We’re not talking life-changing events (good for you if they are! ), it’s the little things that make it all worthwhile at work and at home: A good meal, a proper belly laugh, a positive feedback or a learning experience … and let yourself be overwhelmed by the sensation. I promise you it gives you a feeling (physical and emotional) of well-being before falling asleep, and it’s addictive. Do you have a mantra? Holidays are the perfect time to choose or create one. And if you fancy it you can write it on nice paper, ask your children to decorate the page or, more tech-savvy, record it on your smartphone to access it when you need a boost. “We are all doing the best we can” I thank Brené Brown for having made me realise this! The holidays might be a good time to face a problem that can eat up a lot of time and energy, harm your self-esteem and seriously slow your career down. What is Impostor’s Syndrome? I know you know it, but I’ll say it anyway: You’re successful, you have skills and abilities but you think that it’s just luck or circumstances that got you where you are today, and it is only a matter of time before they find out you’re not as good as they believe you are. You do not “internalise” your skills, talents and successes. This affects self-esteem and therefore self-confidence. In the short-term it is mentally exhausting as you second-guess yourself or worry over issues that aren’t really there. In the long run you could sabotage your career which is a shame because you have everything to succeed. Ask a peer / friend to give you 5 successes you have had in the last 12 months according to them. So are you really an impostor? Since you’re letting your mind free to wander why not take this opportunity for some housekeeping and “decorating”?! Your glory board is a way to remember and document everything you have accomplished. I’m proposing a list to download (My Glory Board) to get you started, do not hesitate to add to it. Why not do it with friends and a bottle of champagne because there will be much to celebrate! How do I want to feel in my professional life? I suggest you ask yourself this question at the start of your holiday and let the answer come to you at its own pace. There is no specific format: concepts, words, feelings, sensations, emotions, images, etc. You can write, sing, draw, cut out magazines, you’re free to use whatever method you want. The important thing is that it articulates how you want to feel. When you say it, you cannot help but smile, it feels right, it feels good, it’s you. Clarity on how you want to feel in your professional life is massively important as it helps you make the RIGHT decisions. You get in the driver’s seat and take control of designing the career YOU WANT. You may be wondering what all this has to do with Leadership and women leadership which are my passions. EVERYTHING! To achieve the career you desire, you need to practice the above as it is the key to the positive mindset needed for a successful and satisfying professional life. If all this raises questions or a need for action but you are not sure where to start, let’s talk. A 30-mins call may be all you need to gain clarity and get started, it’s free & with no engagement. I wish you a relaxing and inspiring holiday!